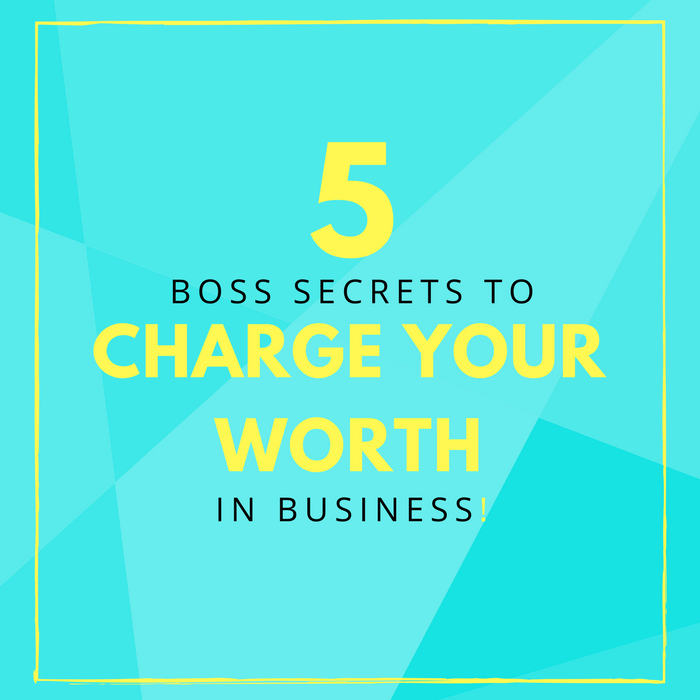 Be a B.O.S.S: How to Charge what You're Worth in business! Why does fear get in the way of passionate creative girl bosses charging what they're worth? This is something I've had to overcome these past couple of months myself and honestly still trying to overcome. Just this Monday I decided to up the prices on my popular stock photo membership! 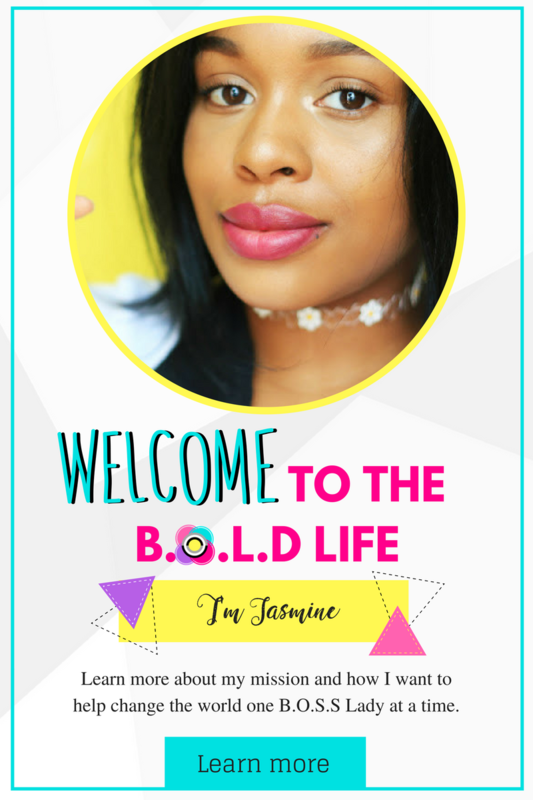 At first I was so nervous and kept going back and forth between the best options and I finally came onto a price that I felt most comfortable with but was also able to still keep in the price range of my target audience. Sometimes when we love what we do, working doesn't always feel like it's work. Which can make it harder on us to price accordingly. I remember when I got my first ever client over a year ago. She wanted social media stock photos and I was so thrilled. However, at the same time I had know clue what to price my services. I knew I deserved to get paid because I was going out of my way to create something awesome for her but had no clue what to price it. So I decided on the lowest price I could think of $25 for 5 images. I know cringe, but I honestly did not know at the time what my worth was! Pick a price and just go for it. Focus on making your client or customers happy first and foremost! I worked hard to create a look that should would love. That even meant going out of my way to buy props and spend countless hours perfecting the shoot and perfecting the editing. End the end she loved it! Which brought a warm smile to my face. I thought to myself, "Wow I created something for someone else and they actually loved it!" Honestly I believe that we have to go through this in order to see our real potential. So it's ok to charge low in the beginning but realize when it's time to charge more. Work your way up to feeling secure enough to raise your price and stick to your guns. As new beginners in entrepreneurship(me included) we have to learn after a few trial and errors to start realizing the importance of pricing our services or products at a price that we feel confident with but also be able to make a living off of! Because at the end of the day us passionate creatives want to work for ourselves and be able to have fun with it! 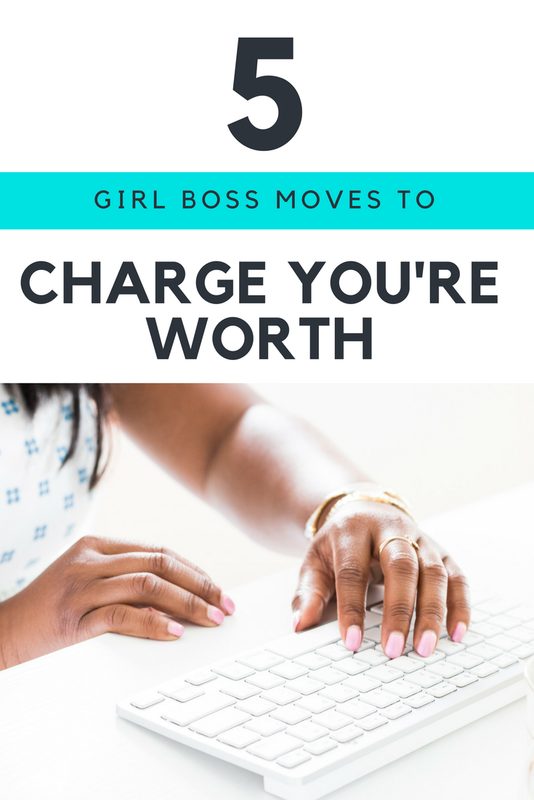 Here are several tips I've learned to help charge what I'm worth! This is why it's so important when you learn to brand that you know your target audience. For me I wanted to cater to people that didn't have an expensive budget but didn't mind investing. 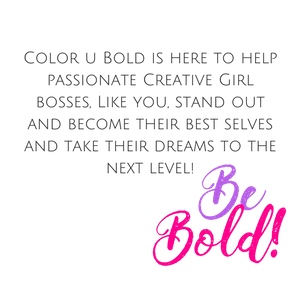 For me that was one of the core values for Color U Bold. To provide amazing content for people without making them go bankrupt. But this is my preference because I know how it was in the beginning. Will I be a millionaire heck maybe not but I wanted to target people that were like me in the beginning. Take a poll or just ask in Facebook groups where your target audience is how much they would be willing to pay. Sometimes you'll get the dirt cheap answers (those may be your target audience not mine lol) but often times than not you'll get answers higher than what you would have imagined. Remember you don't have to be your ideal client or audience to price yourself. If you want to price extremely high that's ok if you want to price low that's ok too! It's all about what your core values is and who you want to target. When you are doubting your pricing, keep your customers first in your mind, because they know what they are willing to pay. It's ok to change prices every now and again. Actually its highly recommended. You are learning and you have to see what is best for your target audience. Keep going high until you start to hear no's! It's ok to test the waters. That's what I did with my custom stock photos. At first I created a sale for $97 custom stock photos my first month and I got a few clients. Then I decided next month let's take it up to $150 I still got clients. Then I took it up to $250 and I got a few less clients its ok because I still made a profit and people were willing to pay that much! Next I decided to add options. One for $150, another for $250, and lastly $500! This is a big stretch for me but instead of being bogged down by one big scary price I added several with different bonuses to each one. This is a great way to see which option is the most popular and which one we can axe out in the future! So far $250 is for the win! When you learn how much you're worth, you'll stop giving people discounts. Look at your "competitors" I hate to say that word because we are all in this together #communityovercompetion but I do think its important to look at what others in your niche are charging. Be inspired but don't copy. It's important to find what works best for you. When I was pricing my custom stock photos I had a hard time pricing 10 images at $500. Although it may work for others it didn't sit well with me and that's ok! Don't feel like you have to be crazy expensive but also realize you deserve to price it at whatever you feel comfortable with. For me I wanted to give people multiple options for custom stock photos that fit the budget of my target audience. In order to really get down to business you need to figure out what it will take to take your side hustle and make it your main hustle. This is something I'm working on now. When I decided to price my style stock membership I had to really figure out how much it would cost for me to live on a monthly basis. I also added in props to the factor because let's face it I can't keep using the same props in every photo! So I looked at how much I wanted to rack in every single month. Once I figured out my goal I worked backwards, calculating how many people I would need, to see how I can make that happen for myself. You get what you ask for and if you lack the confidence your business suffers. Crunch the math, figure out what it will take to make your side hustle your main hustle, learn what your target audience is willing to pay through trial and error and if all else fails look at others in your niche to figure out what is a standard rate for your service or products. Self confidence is a super power. Once you start to believe in yourself, magic starts to happen. Tell me are you charging what you are worth? What's holding you back? This is an amazing post. It is helpful. Thanks for sharing this information.